Are you facing challenges to maintain the timelines when it comes to pathology billing services? 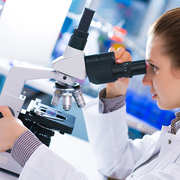 Are your facility's pathology billing collections lower than the expectations? If yes, then you must outsource pathology billing services to an expert medical billing service provider like Outsource2india and replace your organization's pathology billing with an efficient one. 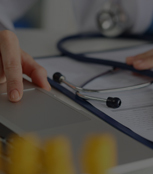 Outsource2india is a prominent provider of pathology billing services in India that has been rendering medical billing and coding needs of global clients for the last 20 years. Our team includes some of the most capable healthcare support executives, reimbursement experts, etc. 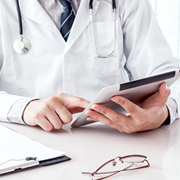 who can streamline your pathology billing process and reduce the denials considerably. A correctly filed insurance is the key to the complete and prompt payment of the medical bills which also ensures that the claim is not rejected or denied. Our expert team of medical billing executives can assist you with insurance verification and can verify the insurance for any errors/inconsistencies. This is a huge challenge for healthcare organizations to constantly follow-up with the accounts receivable leaving them with lesser time to focus on patient care. Our team can help you follow-up with accounts receivables and fulfill your requirements for pathology billing in a timely manner. 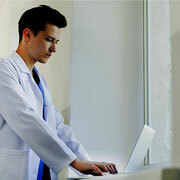 Our team of healthcare support executives can correctly enter all the patient demographic data into the EHR software. And when comes to pathology billing, our team can enter all the pathology data into the software as it includes each detail of the client and the illness. Denial management is one of the crucial steps that will help you find out the reasons behind the denials of your pathological billing claims. Through our wide experience in pathology medical billing, we can help you with the accurate claims denial analysis that will help improve your claim process and you will get timely and full reimbursement. 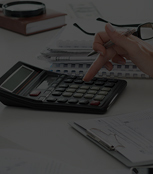 Billing charge entry helps to figure out the net amount of reimbursement in a medical facility. Thus, when you offshore pathology billing services to us, we can help you record the charges for each pathology-related claim that will enable your facility to receive timely reimbursements. Why Choose O2I for Pathology Billing Services? We have set up the best practices for pathology medical billing and have a flexible pricing model to suit your organization's requirement. We can also provide customized pathology medical billing services based on the number of hours, claims files, percentage collection, etc. Outsource2india is an ISO 27001:2013 certified organization. We are adept at establishing, implementing, and evolving the information security within the framework of your healthcare facility. We can secure your medical data from any security mishaps. We are an ISO 9001:2000 certified company and follow 100% HIPAA compliance regulations. We have rock-solid policies in our workspace and adhere to all the security measures to secure and safeguard the privacy and confidentiality of protected health information (PHI) as per the guidelines. We have five different delivery centers across the time zones that allow us to be available 24/7 and provide instant support to resolve your queries/issues. Moreover, our healthcare support executives work across all the time zones and can render their service at your suitable time. We have ultramodern medical billing software in our offices and our team leverages the latest communication tools. Furthermore, our offices are equipped with world-class network features including secure VPN communications, firewalls, virus prevention software, spam filters, and URL filtering tools. At O2I, we make use of secure servers to download data from your medical facility. We only depend on the FTP to transfer the files which encrypt the records and use cleartext passwords for authentication. We also monitor our employees' login and logout time and conduct a security audit to ensure that we comply with all the mandatory compliance regulations. Our Pathology medical billing experts can maximize your medical facility ROI by cutting the common reimbursement issues. We have a dedicated team of quality assurance professionals to make sure that the pathology billing goes as per the plan. 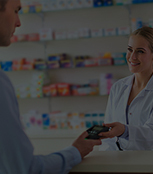 We are successful in maintaining 98% accuracy which surpasses the present medical billing industry standards. If you do not possess the necessary bandwidth to scale up the services, you can collaborate with us. We can provide better tractability by scaling up your demands by leveraging our experienced workforce. When you outsource pathology medical billing services to us, we will evaluate your patient volume to find out the scope and duration of the pathology medical billing services you need. 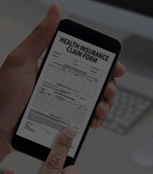 We have a streamline pathology billing approach to address the claim rejection and denials. With us, you will see an instant surge in your medical facility's productivity level. We exercise excellent professionalism through our automated software, quality assurance, and experienced medical support staff. Outsourcing pathology medical billing to us will allow your healthcare professionals to focus on their core works, thus saving their valuable time. We have more than 200 healthcare support executives who are skilled in recovering the medical claim due. With our expert pathology billing services, your organization's cash influx will increase, and you will witness a positive impact on your ROI. Our 24/7 available healthcare support executives provide round the clock support. You can raise your issues or report any inconsistencies through multiple communication channels. O2I delivered high-performing rehab transcription services and integrated the client's medical records with the new EHR software. O2I provided charge and demographic entry services to a leading ambulance billing company that helped them save 45% of the total operational cost. The quality of your work is outstanding. Seems the people you have on our tasks are knowledgeable about the process and are doing a good job on following through on things. Outsource2india has been a pioneer in providing quality pathology billing services and a plethora of other medical billing and coding support services. We have been catering our medical billing services to the healthcare industry clients for over 20 years now and have the necessary experience to cater to the needs of our clients. With our multiple global delivery centers and four offices in the different time zones, we can provide pathology billing services within a quick turnaround time. Our pathology medical billing is highly streamlined, and we have some of the most capable medical billing and coding specialists. If you are looking for a fast, competent, and a cost-effective pathology billing service provider, then you can stop looking. Get in touch with us today!